I had an overall fun and excellent learning experience! Thank you, Robert! I have tinted a few cars in the past and I always got into trouble. After taking the course, all I can say is…Amazing!!! After taking the Auto Tinting course and the PPF course, I can honestly say I have attended many collages and trade school, but never have I been in such a relaxed learning environment without any anxiety or pressure. 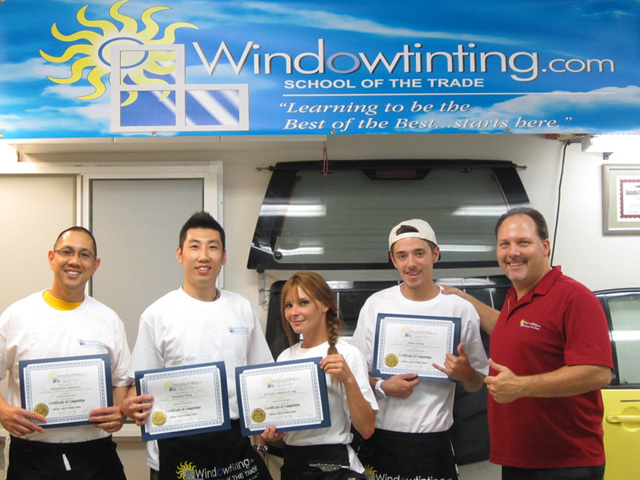 Robert is an amazing instructor, both in the classroom and hands-on training. Thank you so very much! This has been the most relaxed course I've have ever taken. Having only 4 students max was great to get more one-on-one time, but so balanced with everyone learning from each other. The Auto Tinting Course and PPF course have been in my top best investment decisions I've ever made…and this will be my future!